Among the most frustrating things I have faced since I came to Islam in the 1990s are, what seems to me, the chronic tendency in our community to exaggerate, and our unwillingness to be objective. I mean, a good recent example of this was when I saw an interview with Fatema, the mother of 7 year old Twitter celebrity Bana Abed, after the family’s arrival in Turkey. She complained about the conditions on the evacuation bus, and likened it to being a hostage. Except, this bus was delivering her and her family to safety and freedom. The bus was not bombed, was not set on fire, the men on board were not executed, and the women were not raped; as we had been told to expect. No. They passed safely into Turkey. But instead of “Al-Hamdulillah” we get a tirade against the bus ride that rescued the family from war. As if it was disappointing that there was no atrocity. Early in my interactions with Arabs I was given the impression that it wasn’t safe to pray Fajr in the masjid in any Arab country, and that growing a beard would get you arrested. It took me a while to realize that this was simply not true. I prayed Fajr in masjids in many of those countries, and knew many brothers with beards, and had one myself. I remember my brother-in-law in Gaza who had a beard the first time I met him, but had shaved it off when I visited Gaza again a little over a year later. He explained that under Arafat, it was not safe to grow a beard. Sitting next to him as he said this was my other brother-in-law, who still had his beard. So let’s be honest. The masjids are not full at Fajr time in the Arab world for the same reason they are not full in the West, or anywhere else: very few people want to go. “The Intelligence services will identify me as an extremist” is just an excuse. It is worth noting that the demands of the original protesters in Syria in 2011 did not include the right to pray Fajr in the masjid. No. 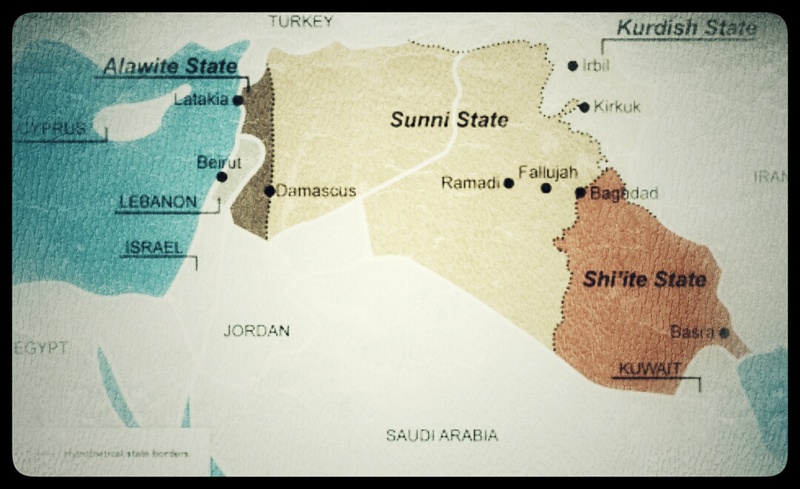 The Jihadi narrative of pre-war Syria is revisionist. 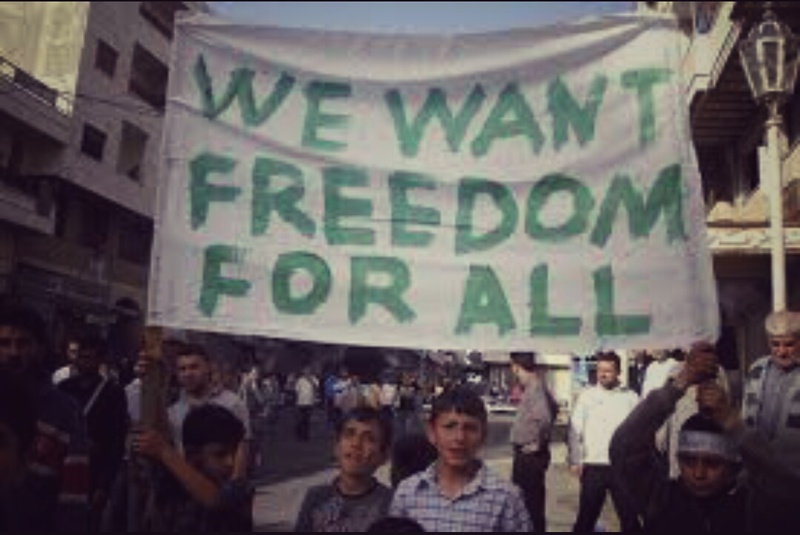 I have known Syrians all my life as a Muslim; religious brothers, anti-regime, Ikhwan and Salafi and unaffiliated. None of them complained about overt sectarian repression of religious practices. They complained about public sector corruption, censorship, income inequality, monopolization of power, and so on; the same things the demonstrators were protesting. And these are all the same kinds of complaints anyone has about authoritarian governments anywhere in the world. But most people were relatively free to say and do as they liked, as long as it was not critical of the government. Again, that is the same in any Arab country (it is also the same with anyone living under Da’esh, by the way, except that under Da’esh, overt sectarian repression is prominent). No one is saying that the regime in Syria was benevolent and good; but it was not by any means, uniquely bad; and by most accounts prior to 2011, things were getting better. There was considerable economic development, rehabilitation of infrastructure, and so on. This is all true, and none of it invalidates the demands of the protesters. Acknowledging this reality does not undermine the legitimacy of what they were asking for. But the demands of the protesters were immediately drowned by the armed conflict, and the nature of the struggle radically changed. Again, the demands of the protesters were not religious in nature; they were political and socioeconomic; just as were the demands of demonstrators in Tunisia, Egypt, and everywhere else. It is simply dishonest to rewrite the history of these events to make it appear as though they were rising up against religious repression. That just was not the case. I don’t doubt that the Jihadis believe what they are saying, but when they talk about religious repression, they mean “living under any system other than Khilafah”, but this definition is not shared by most people. Perhaps they had personal experiences of people being arrested for praying Fajr in the masjid, I really don’t know; but if so, it is likely that the arrest related to matters beyond the prayer, and this experience does not reflect the general situation for most people. And, frankly, I have heard that line too many times, and seen it debunked too many times, and known too many Syrians before the war, to fall for it. If we consider this tendency to exaggerate and revise history, it is predictable that we could see in Sudan, for example, a nonviolent opposition movement against Omar Bashir’s regime on the basis of socioeconomic demands turn into a violent secular uprising against “Islamism”, with religion used to obscure the real issues. We may be told 3 or 4 years from now by Sudanese rebels that Bashir’s government forced people to pray Fajr in the masjids and punished men who didn’t grow beards. The religious people will back the government, and the West will back the rebels, and nothing that the protesters are demanding will even be remembered. So you see, it is of the utmost importance that we are honest and objective about reality, because this has an impact on the shaping of reality. ماذا كان سيصبح السيناريو الأسوأ في سوريا إذا اكتفت مجموعات المعارضة بإيقاف الاحتجاجات في الشوارع بعد عمليات القمع الأولى؟ حسنا، من الواضح، أن السيناريو الأسوأ كان ببساطة هو أن تبقى الأمور على ما هي عليه، ولكن ستكون هناك إمكانية لإجراء إصلاحات تدريجية على المدى الطويل. وماذا كان سيصبح السيناريو الأسوأ إذا استمرت الاحتجاجات؟ من الممكن أنه كان سيكون هناك قمع وحشي على نحو متزايد، واعتقالات جماعية، وفرض قيود أكبر، وهلم جرا. علينا بعد ذلك مقارنة أي من هذه السيناريوهات بما ظل لدينا لأكثر من خمس سنوات الأن، أي ما هو كائن الآن، وما يمكن أن نتوقعه في سوريا نتيجة الحرب للأجيال القادمة. وإذا كان لدينا أي ذرة عقل، أو قلب يعقل، وإذا كان الفهم الإسلامي راسخا في قلوبنا وعقولنا، فعلينا حينها أن نعترف بأن كلا التصورين البديلين كانا أفضل بشكل مطلق. إذا كنت غير قادر أو غير راغب في الاعتراف بذلك، إذن فأنا آسف جدا، ولكنك تعاني متاعب نفسية حادة واضطرابا خطيرا في التفكير، وليس مجرد جهل بالدين، كلا، بل أنت مصاب بمرض خطير. كانت حملة النظام ضد المحتجين همجية وإجرامية بلا شك. وهو نظام استبدادي وحشي، تماما مثل العديد من الأنظمة الأخرى في العالم العربي. ولكن، بشكل عام، إذا لم تكن من نشطاء المعارضة السياسية، فقد كنت آمنا في شؤون حياتك وممارسة شعائرك الدينية، وتوفير حاجات عائلتك وتعليم أولادك؛ وكان هذا هو الحال مع الغالبية العظمى من الناس. هل يجب أن يعاقب بشار عن الفظائع ضد المتظاهرين؟ بالتاكيد ولكن هذا على فرض أن لديك القدرة على فعل ذلك دون معاقبة السكان. أما إذا لم تكن لديك هذه القدرة (وهو الحال) فلا تفعل شيئا، هذه حقيقة واقعك، أن تتحمل بصبر، وتعمل بأي طريقة ممكنة لتحقيق العدالة محاولا -في نفس الوقت- عدم جعل الوضع أسوأ. سيكون هذا النهج متعقلا وإسلاميا كذلك. فريضة الجهاد، على حبنا لها، لا تتطلب منا الدعم اﻷعمى لأي وكل أشكال النضال العنيف ضد الأنظمة القمعية. فهي لا تتطلب منا أن نوقف التفكير العقلاني. What was the worst case scenario if they had continued protests? There would have been increasingly brutal crackdowns, mass arrests, greater restrictions, and so on. 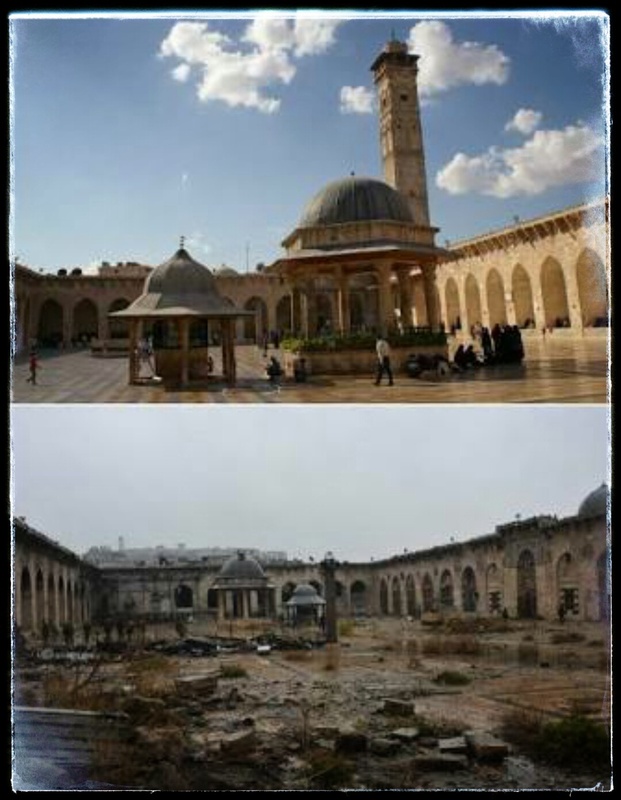 Compare either of these scenarios to what we have had over the last 5 years, what we have now, and what we can expect to have in Syria as a result of the war for generations to come. If you have a mind, and if you have a heart, and if Islamic understanding is present in your heart and mind, you must recognize that both alternative scenarios were infinitely better. If you are unable or unwilling to admit that, then I am very sorry, but you have severe psychological problems and a serious thinking disorder, not merely ignorance about the religion, no, you are dangerously ill. The regime’s crackdown against protesters was vicious and criminal, there is no question about that; it is a brutal authoritarian regime, just like many other regimes in the Arab world. But, generally speaking, if you were not active in political opposition, you were safe to live your life, practice your religion, provide for your family and educate your children; and that was the case with the vast majority of the people. 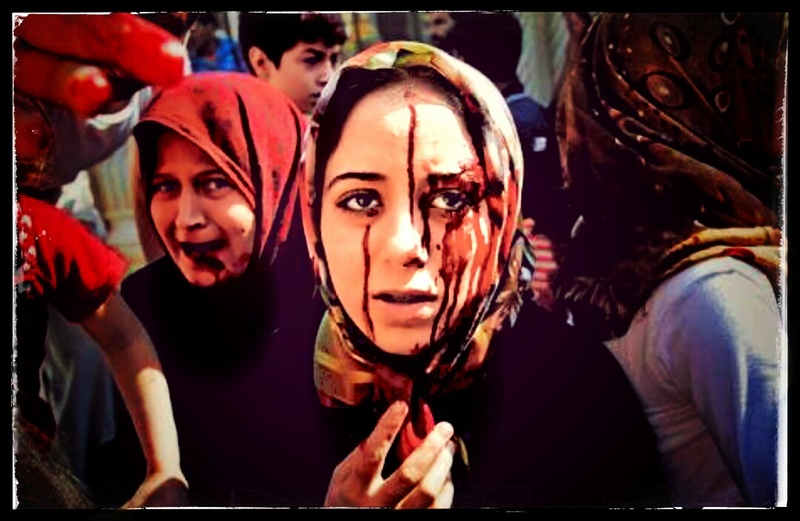 Should Bashar have been punished for the atrocities against protesters? Of course; assuming you had the capability to do that without punishing the entire population. If you did not have that capability (and you didn’t) then you do nothing, because that is just the reality of your situation. You bear patiently, and work in whatever way you can for justice while trying to avoid making the situation worse. That would be the sane approach, and that would be the Islamic approach. The religious obligation of Jihad, and our love for it, does not require us to blindly support any and all violent struggles against oppressive regimes. It does not require us to suspend rational thought; and just because armed opposition may be justified, it is not always right. من الواضح أن شيئًا ما يتم إغفاله في خضم هذه العواطف. الفكرة السيئة تظل فكرة سيئة. لا يحق لك الغضب لمجرد أن الواقع يرفض أن ينحني لك. فالعالم لن يرضخ لمطالبك لمجرد انك تتبني إيديولوجية لا تحترم الواقع. يمكنك الاعتقاد أنك وقضيتك تستحقان الدعم الإلهي، وأنك إذن سوف تخرج منتصرا بغض النظر عن الظروف وميزان القوى. ولكن في نهاية المطاف، لا يعمل الله تبعًا لرغباتك. لا يمكنك تجاهل هزائم الأمة في التاريخ لمجرد أن هناك أمثلة تغلب المسلمون فيها على أعداء أكثر قوة. كما لا يمكنك تجاهل القواعد الأساسية المتعلقة بالاستراتيجية، والتقييم العقلاني للنتائج المحتملة وللواقعية الشاملة. لمدة خمس سنوات، كلما أراد أحد أن يعبر عن الشكوك حول جدوى نصر عسكري للمتمردين وجدوى الكفاح المسلح في سوريا عمومًا. دائمًا ما كان الرد يأخذ الشكل الأيديولوجي فقط، لا العملي ولا المنطقي ولا الواقعي. بل في الواقع كانت العملانية والمنطقية والواقعية أعراض لضعف الإيمان. هذه إيديولوجية مفسدة في الأرض، وعلينا أن نوقف هذا. لقد نال خالد بن الوليد لقب “سيف الله المسلول” بعد إنقاذ المجاهدين بتراجع تكتيكي أمام قوة ساحقة. وكان الجيش السوري دائما الطرف ذو القوة الساحقة في هذا الصراع، ومع إضافة الدعم الروسي، فأي مراقب موضوعي، وبالتأكيد أي شخص على الأرض، كان ينبغي أن يكون قادرا على استنتاج أن الاستمرار في الخيار العسكري بمثابة انتحار. لقد كان تقسيم سوريا هدفًا غربيًا وإسرائيليًا منذ البداية، وأي أي شخص جاد كان يعرف ذلك؛ لم يكن مخفيا. بل تم التصريح به وتوضيحه وتوثيقه. “Everyone will be accountable for Aleppo, everyone will be questioned. We are all responsible”. We have seen, and will see a lot of this kind of sentiment. Surely, we will all be questioned by Allah for any injustices to which we are witness; but of course, this will be in accordance with our realistic ability to positively impact them. Most of us do not own fighter jets, battleships or surface-to-air missiles. Could we have pressured our governments to intervene? But haven’t we been told by these same people that democracy is kufr, and that our governments are engaged on a war against Islam itself, so appealing to them is both haraam and futile? If you are going to distribute blame, shouldn’t you first recommend options? And there is a conspicuous omission in this sentiment. What about the accountability, questioning, and responsibility of those who chose to plunge into a fight they could never win, those who decided that their cause was worth other people dying for, and what about those who became such belligerent ideological cheerleaders that criticism of the war was equated to disbelief? A bad idea is a bad idea; you are not entitled to indignation because reality refuses to bend over backwards for you. Just because you happen to embrace a reality-free ideology, the world is not obliged to cater to it. You can adopt the view that you and your cause deserve Divine support, and that you will thus be victorious regardless of the circumstances, and the balance of power; but at the end of the day, Allah is not your employee. Because there are examples in history of the Muslims overcoming more powerful enemies, you don’t get to ignore the examples of defeat. You don’t get to ignore the basic rules regarding strategy, rational assessments of likely outcomes, and overall realism. For five years, whenever anyone would express skepticism about the feasibility of a rebel military victory and the viability of armed struggle in Syria generally; the rebuttal was always ideological, not practical, not logical, and not realistic. Indeed, practicality, logic and realism were condemned as symptomatic of weak faith. This is ideology run amok, and we have to stop this. Khalid bin Al-Waleed was given the name “Sword of Allah” after rescuing the Mujahideen with a tactical retreat from an overwhelmingly more powerful force. The Syrian army has always been an overwhelmingly more powerful force in this conflict, and with the addition of Russian support, any objective observer, and certainly anyone on the ground, should have been able to conclude that continuing with the military option was suicidal. The partitioning of Syria was a Western and Israeli objective from the beginning, any serious person knew that; it was not hidden; it was stated, articulated, and documented. This is the outcome we will have, and it is the outcome you could only fail to expect if you were blinded by inflated ideological illusions. If the armed option had not been taken in 2011, or if it had been abandoned at any point during the last 5 years, this could have been avoided. So who bears responsibility for that? “الشعب السوري لم يكن يريدها حربًا، بل كانوا يريدون إصلاحات، فتظاهروا لمدة 6 أشهر سلميًا دون حمل سلاح واحد. ثم أطلق بشار نيرانه عليهم وقصف المدن فوجدوا أنفسهم بلا خيار سوى القتال. بما أنك ذكرت الموضوع، أعتقد أنه من المفيد أن نستعرض الجدول الزمني للأزمة، فالوضع الراهن في سوريا لم ينشأ مع احتجاجات 2011؛ ولكنه بدأ (على الأقل من الناحية النظرية) قبل ذلك بوقت طويل، في الثمانينات، عندما نشرت إسرائيل ورقة سياسية توضح رؤيتها للمنطقة. وثيقة التخطيط الاستراتيجي الإسرائيلي لعوديد ينون بعنوان “استراتيجية إسرائيل في الثمانينات من القرن الماضي”، تعرض الخطوط العريضة للمشروع الصهيوني على المدى الطويل في المنطقة، ويذكر ينون أن “تفكك سوريا، ثم العراق في وقت لاحق، إلى مناطق عرقية أو دينية متفردة بذاتها كما هو الحال في لبنان، لهو هدف إسرائيل الأساسي للجبهة الشرقية على المدى الطويل، في حين أن حل القوة العسكرية لتلك الدول لهو الهدف الرئيسي على المدى القصير”. جدير بالذكر أن ينون اقترح تفكك سوريا والعراق” على المدى الطويل”، وجدير بالذكر أن هذا هو بالضبط ما حدث بعدها بـ 25 عاما. عندما احتلت الولايات المتحدة العراق، قاموا بتعيين نيغروبونتي سفيرًا مرة أخرى، وأسندت له نفس المهام. قام نيغروبونتي بتفويض مهامه لروبرت ستيفن فورد، وهذا الأخير يجيد اللغة العربية، وعلى أثر هذا بدأ فورد عمله وزيرًا للفوضى تحت وصاية نيغروبونتي. وبعد عام من التدرب على الوحشية المنظمة، تم تعيين فورد سفيرًا للولايات المتحدة في سوريا، حيث بدأ على الفور يتنقل في جميع أنحاء البلاد داعيًا إلى التمرد المسلح، وساعيًا إلى تحقيق نفس المهمة التي كلف بها في العراق. كما نرى، إن كانت لدينا أعين، فقد تم الزج بالمحتجين السوريين على طريق الكفاح المسلح، ليس فقط بسبب وحشية بشار، ولكن كجزء من المكائد الغربية طويلة المدة، والمتعمدة جدًا، والمنظمة جدًا لإغراق البلاد في الكوارث. وكما تقول، فبعد 6 أشهر من احتجاجات سلمية لم تقابل إلا بالقمع الشديد، لم يكن التمرد المسلح هو الخيار الوحيد، ففي واقع الأمر هو لم يكن ليصبح خيارًا من الأساس، إلا لأنه قد تم تسهيله كاختيار والتشجيع عليه ودعمه من الغرب، وهنا جاء الجيش السوري الحر، وتم استبعاد جميع الخيارات الاستراتيجية الأخرى من المناقشة وتم الاستيلاء على حركة الاحتجاجات بشكل فعال لكي تتحول إلى صراع عسكري. عندما تجرب استخدام استراتيجية سلمية لفترة من الوقت بدون جدوى، فهذا لا يعني تلقائيًا أنك يجب أن تتحول إلى المقاومة المسلحة التقليدية، ولكن يمكنك، كما فعل آخرون، أن تعيد تقييم الوضع، وتطرح أفكار بخصوص خياراتك، ثم تشرع في استراتيجية جديدة ومختلفة تقيم بدقة نقاط القوة والضعف الخاصة بخصمك، وقدراتك، وتخدم أهدافك الأصلية، ثم تبدأ في التحرك من هذه النقطة. أشهد الله أن هذا واحدًا من أكثر العيوب المنهكة في تفكيرنا، أن نظن أنه لا يوجد سوى خيارين: إما المظاهرات السلمية أو الحروب العنيفة. أما بالنسبة لقولك أن الشعب في سوريا أصبح أكثر تدينًا بسبب الحرب، فأنا واثق من صحة ما تقوله، تمامًأ كما أصبح سكان غزة أكثر تدينًا بسبب الحصار الإسرائيلي، وتماما كما رأيت العديد من المسلمين الأبرياء يصبحون أكثر تدينًا في السجن عندما حكم عليهم بالإعدام لجرائم لم يرتكبوها… نعم، نحن فعلا نميل إلى التشبث بحبل الله بقوة عندما تنهار الأرض من تحت أقدامنا. ولكن هل يعني هذا أننا من المفترض أن ندعو إلى تعريض حياة المسلمين للخطر ووضعهم في أزمات كوسيلة من وسائل التربية؟ اسمح لي، هذا منطق المختلين عقليًا. لقد أجمع جمهور العلماء، سواء في الماضي والحاضر، أنه مهما كانت النوايا نبيلة، فإذا كان الإجراء المتخذ لتغيير المنكر سيؤدي إلى مفسدة أعظم منه، فلا يصح اللجوء إليه، ولا يوجد عقل رشيد يمكن أن يدعي أن الحرب في سوريا لم تطلق العنان لمفسدة كبرى ترقى لمستوى الكوابيس. المسلمين في سورية كانوا يصلون ويصومون ويتعلمون دينهم، وكان في إمكانهم العودة إلى القرآن والسنة، وكان في إمكانهم أن يكونوا مسلمين ملتزمين، قبل الحرب، وكان لديهم بالإضافة لهذا إمكانية الحياة الكريمة. أما الآن فهذه الإمكانية ليست لديهم، ولن توجد لأطفالهم، وفي الغالب ربما سيحدث نفس الشيء لأجيال قادمة. أما الأن فيمكنهم أن يكونوا أيضا مسلمين ملتزمين، كما كان في الإمكان من قبل، ولكن الفرق هو أن الحرب قد وهبت لهم مجتمعًا في حالة خراب… لذا فأنا أحب أن أسأل، ما هي النقطة من كل هذا؟ هل النقطة هي أن هذه الحالة اليائسة والوحشية دفعتهم لكي يصبحوا “أكثر تدينا”؟ هل دور المجاهدين الأن هو تحديد وضبط ماهية الناس المتدينون؟ هل نحن مكلفون بفرض معيار الإيمان والتقوى على الناس، ودفعهم لأداء السنن المندوبة؟ إذا كانت الإجابة “نعم”، فأنا أقترح أن كل من عينوا أنفسهم ليعلمونا ديننا من خلال العنف والفوضى، هم أنفسهم الأكثر احتياجًا لتعلم هذا الدين. A brother said:”The Syrian people didn’t want war, they wanted reforms, they demonstrated for 6 months peacefully without carrying a single weapon. 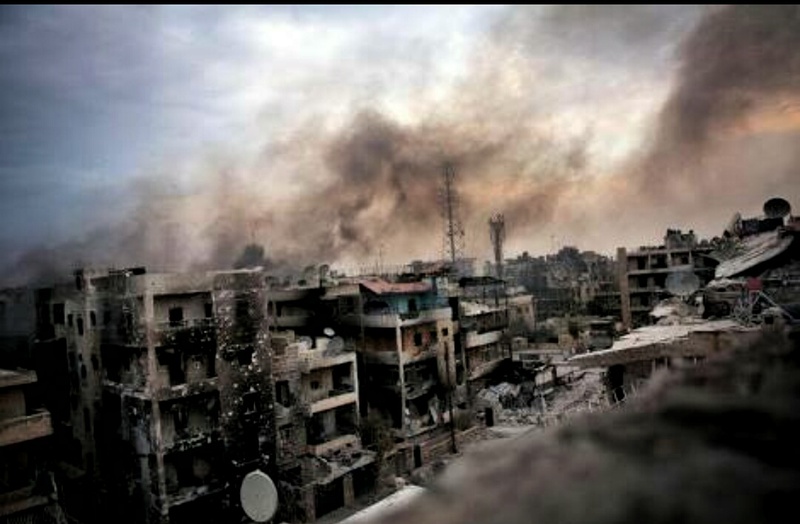 And Bashar was shooting them bombing of the cities, they left with no choice but to fight. Let’s not forget that the regime pushed them to what happening right now. Since you brought it up, I think it is useful to review the timeline of the crisis. The current situation in Syria did not originate with the 2011 protests; it began, at least conceptually, well before that, in the 1980s, when Israel published a policy paper for its vision for the region. Oded Yinon’s “A Strategy for Israel in the Nineteen Eighties” an Israeli strategic planning document, outlines the long-term Zionist project for the region. Yinon states that “”The dissolution of Syria, and Iraq later on, into ethnically or religiously unique areas such as in Lebanon, is Israel’s primary target on the Eastern front in the long run, while the dissolution of the military power of those states serves as the primary short term target”. It is worth noting that Yinon suggests the disintegration of Syria and Iraq “in the long run”, and it is worth noting that this is exactly what is happening 25 years later. You also need to consider the significance of the appointment of Robert Stephen Ford as the US Ambassador to Syria in 2010. Ford was the protégé of John Negroponte while he was the US Ambassador to Iraq after the occupation. Negroponte had previously served as the US Ambassador to Honduras during the “Dirty Wars” period in the 1980s. He recruited, trained, organized, and facilitated funding for paramilitary mercenary gangs in El Salvador, Guatemala, Nicaragua and elsewhere, earning himself the nickname “Mr. Death Squad”. When the US occupied Iraq, they installed Negroponte as ambassador once again, and assigned him the same duties. Negroponte delegated the task to Robert Stephen Ford, a fluent Arabic-speaker, and Ford began his career as a minister of chaos under the tutelage of Negroponte. Following his internship in organized savagery, Ford was appointed as the US ambassador to Syria, where he promptly began to travel around the country advocating armed rebellion, and pursuing in that country the same mission he was tasked with in Iraq. So we can see, if we have eyes, that the Syrian protesters were pushed on the path to armed struggle not only by the brutality of Bashar, but as part of long term, very deliberate, very organized Western machinations to plunge the country into catastrophe. After, as you say, 6 months of peaceful protests being met with severe violent repression, armed rebellion was not the only choice, and in fact, it would not, and could not have been a choice, unless armed rebellion as a choice was facilitated, encouraged, and supported by the West; enter the FSA. All other strategic options were excluded from discussion and the protest movement was effectively appropriated and transformed into a military struggle. When you try a peaceful strategy for a period of time to no avail, it does not automatically mean that you must then turn to conventional armed resistance. You can, as others have done, assess the situation, brainstorm your options, and embark on a new and different strategy that accurately evaluates your opponent’s strengths and weaknesses, your own capabilities, and effectively serves your original goals, and move on from there. Wallahi, this is one of the most debilitating defects in our thinking; that there are only two options, either peaceful demonstrations or violent warfare. As for your saying that the people in Syria have become more religious due to the war, I am sure that is probably true; just as Gazans have become more religious due to the strangulation of the Israeli blockade; and just as I saw several innocent Muslims in prison become more religious when they were sentenced to death for crimes they did not commit. Yes; you tend to hold on more tightly to the Rope of Allah when the earth has collapsed beneath your feet. Does that mean that we are supposed to advocate endangering the lives of the Muslims and putting them in crisis as a method of tarbiyyah? Excuse me, but that is the logic of a psychopath. It is the unanimous position of the scholars, both past and present, that, no matter how noble the intention, if an action taken against an evil will predictably result in a greater evil, it is forbidden to pursue it. No rational mind can claim that the war in Syria has not unleashed a greater evil of nightmarish proportions. The Muslims in Syria could pray and fast and learn their religion, they could adhere to Qur’an and Sunnah, they could be observant Muslims, before the war; and they had access to a decent quality of life. They have no such access now; their children will not have such access, and very possibly neither will generations to come. They can still be observant Muslims, just as they could be before, only now, the war has gifted them a society in ruins; so I would like to know, what is the point? That the savagely desperate situation in which they find themselves today has prompted them to become “more religious”? Is it the role of the Mujahideen to determine and regulate precisely how religious people are supposed to be? Are we tasked with imposing a standard of Imaan and Taqwa on the people, and pushing them to perform non-obligatory acts of worship? If the answer is “yes”, than I would suggest that those who have appointed themselves to teach us our religion through violence and chaos are the most urgently in need of learning the religion themselves.